There are some people who firmly believe that dragons are the stuff of legend, fairytales, and myths. In short they do not believe that dragons are real living and breathing creatures. If you are such a person then this book is not for you. 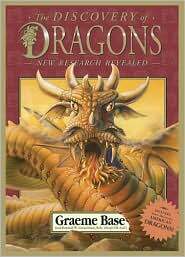 For the rest of you, for those of you who do believe that dragons exist, this book will give the story of how four extraordinary people discovered that European, Asiatic, Tropical, and New World dragons exist. We can be very thankful that Professor Rowland W. Greasebeam B.Sc found the letters of these four people and had the courage to insist that their letters be published, for had he not these extraordinary discoveries would never have sent the light of day. Bjorn of Bromme was sent from his homeland to pillage and loot Britain but he managed to get lost on the way. We should be thankful for this because had he not got lost he would never have seen the Great Snow Dragon in Greenland, the Emerald Dragon in Ireland and the Welsh Red Dragon in Wales. After seeing members of his crew getting eaten by these dragons, Bjorn decided to head for warmer climes and to give up the pillaging lifestyle. His unfortunate replacement ran into another species of dragon in northern Spain, and was promptly eaten by it. This species is now known as the St. George Dragon. The daughter of a thirteenth-century Chinese silk trader, Soong Mei Ying left the imperial city to trade some silks so that she might raise some much needed funds to help her sick father. During the journey a pair of Mongolian Screamers, very ferocious dragons, attacked her traveling party and destroyed her silks. Mei Ying set off home in misery but found another kind of dragon in the garden of a roadside shrine. She knew that the Japanese Butterfly Lizard produced a special kind of oil which would make her sick father well and she managed to capture the lovely and delicate creature to take home with her. After further adventures and an encounter with two nasty Eastern Temple Worms, Mei Ying was able to get home to her family. Dr. E. F. Liebermann’s story, as told through his letters, is altogether different. This young man was trying to prove that Africa, Madagascar, and Tasmania were all once part of a large southern continent. He hoped to do this by proving that a rare species of frog in Africa was related to one in Tasmania. Alas the young man was unable to do so but he did see some very bizarre looking dragons as he trudged through the jungle and he did manage to prove his southern continent theory in an altogether different way. His letters were written to his fiancée and it would appear that his long absences were not making her heart grow fonder. We are also able to tell from his letters that the poor fellow was definitely quite ill with some peculiar jungle disease. Finally there is the story of Francisco Pedrarias Balboa de Nuevo, a sixteenth century soldier who went to Peru with the Conquistadors but who had the good sense to run away while the going was good. Soon after running away Francisco encountered a very strange creature, a Two-Headed Peruvian Draak which not only could speak but which claimed to know the secret of eternal youth. It must have known something on the subject for Francisco is still around in 2006 writing email to a “Miss Kitty” about a Masked Mountie Monster that he has seen in British Columbia. Wonderfully creative, often deliciously funny, and beautifully illustrated throughout, this is a picture book which dragon fans of all ages will enjoy. Graeme Base plays the part of Rowland W. Greasebeam beautifully and readers might find themselves wishing that they too could participate in this wonderful letter writing project. Who would they be and what kind of dragons would they find?